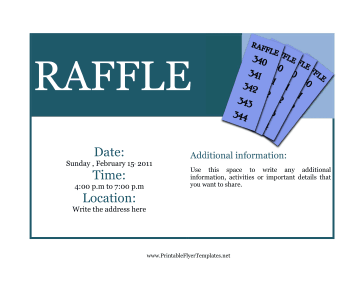 A raffle is a fun way to drum up funds for a special cause. You can include information about your raffle, the prizes, and any other special details on this blue flyer. Be sure to include the price of raffle tickets!